Life Republic Hinjewadi: An integrated township development that is packed with a new way of life! Pune is a beautiful city that has a lot to offer its inhabitants. From dawn to dusk, this city is sprawling with luxury, entertainment and happy people. The real estate market in Pune is booming today with a number of residential and commercial projects in different parts of the city and its outskirts as well. Kolte Patil Life Republic is one of the latest township projects in Pune by Kolte-Patil Developers Ltd. whichoffers an unmatched lifestyle that will satisfy your senses! This integrated township development sits on a bed of 400 acres and contains well-endowed towers that offer 2BHK as well as 3BHK luxury apartments of wholesome goodness. The apartment carpet areas start at 541 sq. ft. and go up to an impressive 853 sq. ft., providing you ample luxury space to meet all your needs and requirements. 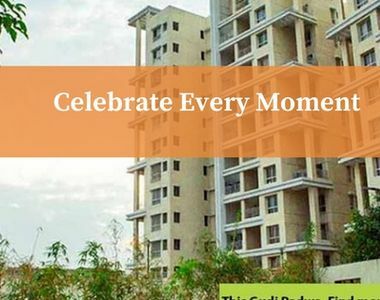 Kolte Patil Life Republic Pune is a fantastic development that offers you the best of the best so that you can celebrate life each and every day! The apartments are spacious, provide beautiful natural lighting, cross ventilation and contain high-quality vitrified flooring in every room, luxury fittings & fixtures, extravagant kitchens with top-notch counters and multiple provisions, electrical ports and switches located perfectly for easy access, premium door, large balconies and windows providing mesmerising landscape views, hi-tech safety features and the list goes on. 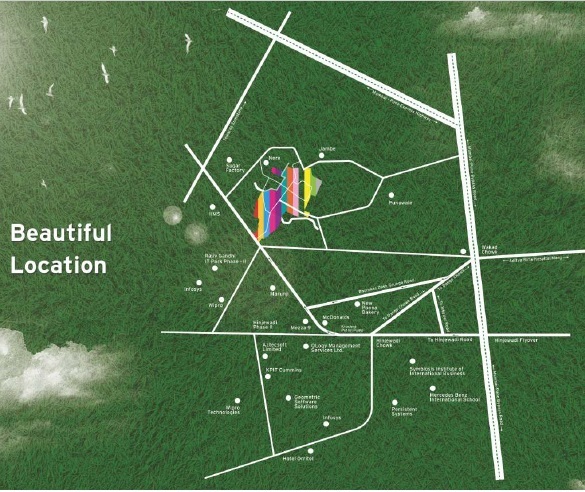 This township development offers the finest external amenities that will simply blow your mind! Experience a modern-day lifestyle that is packed with world-class features of pure divinity! The external amenities at this development include a clubhouse for recreation, mediation centre, jogging track, hi-tech gymnasium, multipurpose hall, swimming pool, beautiful sports facilities and a play-zone for your kids, nursery school, restaurant, theatre, shopping centre, fully functional fire station, 24hour water supply, fancy landscape garden, wide open space that will always make you feel happy and free, efficient car parking, power back-up for emergencies, fast elevators and high-end security. This development also takes up rain water harvesting, eco-friendly waste and organic farming for a better tomorrow. 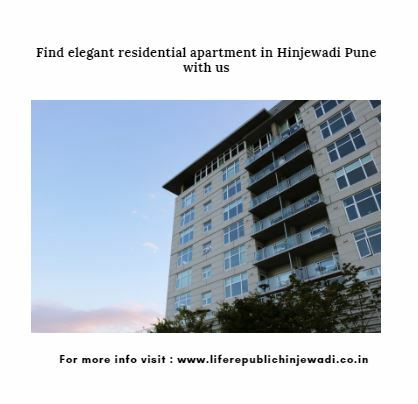 Situated at Hinjewadi in Pune, Life Republic Hinjewadi has a number of your everyday and emergency landmarks in close proximity and offers a life of convenience that is simply incredible! You can conveniently access places like schools, colleges, institutes, hospitals, medical centres, banks, ATMs, entertainment zones, supermarkets, general stores, cafes, restaurants, lounges, clubs, malls, shopping centers, cinemas, all kind of public transport and a lot more without worrying about long-distance journeys. Starting at a price of Rs.28 lakhs and moving up to Rs.54 lakhs, the Kolte Patil Life Republic price is simply outstanding and light on your pocket. This township development is an ideal destination for both, home buyers and investors as well! You can conveniently choose from a number of payment plans along with easy home loans at low-interest rates, NRI services, customer support, discounts, freebies, low registration charges and so much more for a hassle-free buy.Welcome to a world of premium luxury that you have always desired! Kolte Patil Life Republic is an integrated township project at Hinjewadi, Pune by Kolte-Patil Developers Ltd. that extends over 400 acres and offer variants of 2BHK and 3BHK luxury apartments. This township development speaks luxury from head to toe! The suave residential spaces are designed to perfection and contain vibrant fittings & fixtures, beautiful interiors, lavish kitchens, plush doors and windows, safety features and more. While this township development takes up organic farming and rain water harvesting, you will also find a wide range of external amenities that will always keep you active and help you unwind. From a clubhouse and recreation facilities to a swimming pool, play-area for kids, gym, shopping center, theatre, nursery school and more, this township is packed with world-class features that will blow your mind! Starting at a fabulous price of Rs.28 lakhs only, the residential spaces at this development high on luxury and low on cost!